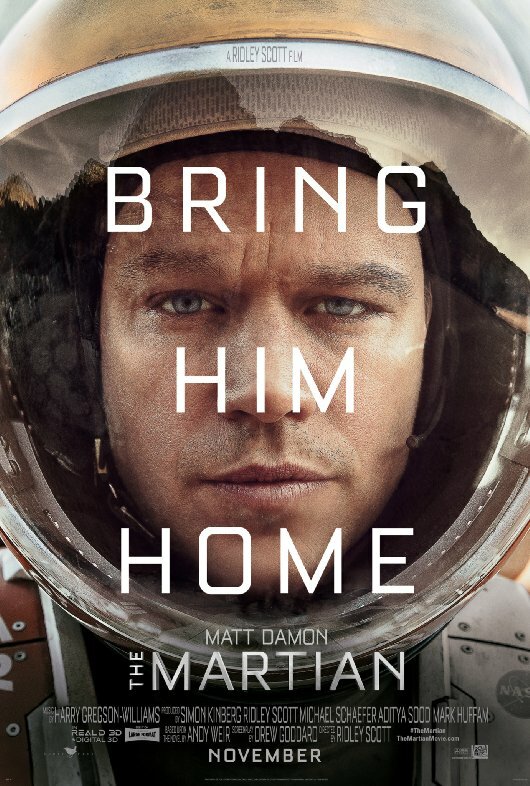 You know what I think about when I hear "Bring Him Home" the tagline for The Martian? My first thought isn't Matt Damon. The first thing I think about is Hugh Jackman singing Bring Him Home in Les Miz. Remember that heart-rending song Jean Valjean sings when Eddie Redmayne—er Marius—might be dead? Very emotional but not what I should be thinking about. I'm supposed to be thinking about Matt Damon, stuck out there on Mars, desperately trying to survive and to find a way home. This newest trailer should help. FYI, I'll be filing it over in the Featured Trailer spot at the top left of the page.